This newly manufactured 40 S&W ammunition is PERFECT for target practice, range training, or plinking. It is both economical and reliable and is produced by one of the most established ammunition plants in the world. A few ranges I go to will not allow this to be fired indoors. Some ranges will not let you shoot this indoors. They say it will bounce back. Had 2-3 FTFeed per 100 rounds shot. All fired and went where they were intended to go. Be careful if you're shooting a lot of this at one time. 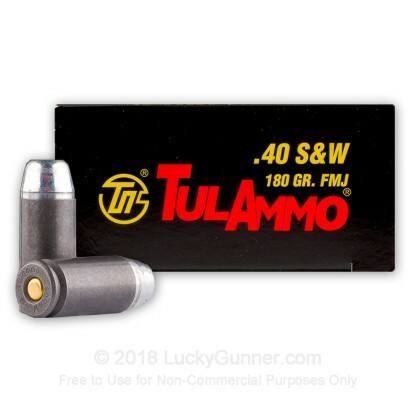 I ran into a problem with running a bunch of Tula .40 rounds through a S&W M&P .40 Compact. After the gun started heating up I had problems with the Tula steel cases expanding and not ejecting. I had to use a ramrod to punch out the spent cases they were wedged in so tight. Worked fine on the S&W M&P full size, just the Compact had problems. Other than that, good ammo and great value. Russian ammo Tula can always be counted on to perform. My Smith and Wesson 40 performs to perfection. Lucky gunner offers good price point on ammunition. 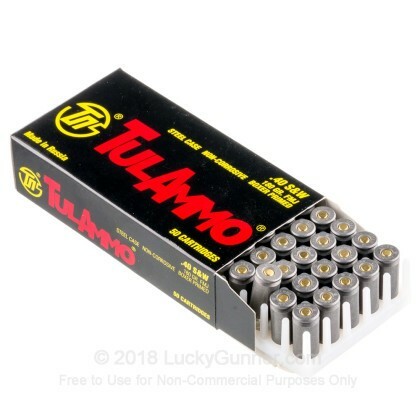 I have purchased nearing $2,500.00 from Lucky Gunner on assorted ammo. 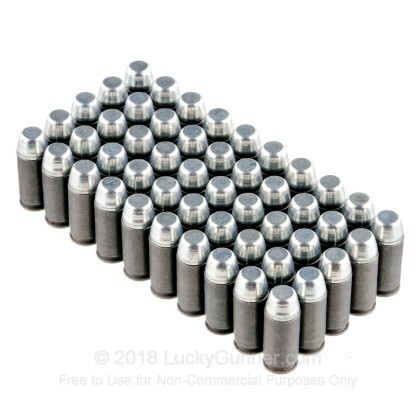 My last order was for .40 cal aluminum cased rounds. They worked fine no issues at all. The Glock just eats and spits these .40's out without any drama in regard to feeding, stove piping and or ejector issues. Good price, good ammo and great service. Product shot great. I had no issues using this product. The staff are on top of things right of the bat. They really care about service. Great bunch of people. This product performed beyond expectations for its price and being steel cased. I put all 500 rounds through my Steyr L40 in the span of a week. As can be expected, the gun was a bit dirtier after each session than it would have been after using comparable brass case ammunition, but the ammo performed flawlessly; not a single issue. Keep your firearm clean and you too should have no problems with these rounds. Highly recommended. No problems, for the price. The first 100 rounds had 8-10 failure to feeds (that was manageable). The following 100 rounds had many failure to ejects. So bad that I needed a mallet and rod to pound them out. I finally stopped shooting the ammo. I have 300 rounds remaining which I wont take the chance with. Lucky Gunner has been terrific in their customer service. FYI, I was shooting a Sig P229 .40 S&W. My opinion is that the these are sub standard. Some of the rounds fit the magazine easily, some did not. I had 6 misfires in 100 rounds. Adequate for practice. Good tight shot grouping. I would not use these as carry ammo. I used a S&W M&P Shield. I like the ammo, but I have had three jams the first two clips I fired. The ammo is decent quality for the price it's great. I have experienced 3 jams in two gun. Two were in my M&P Shield and a Taurs PT111. Going back to try it again. Great people to do business with regardless of ammo problems. 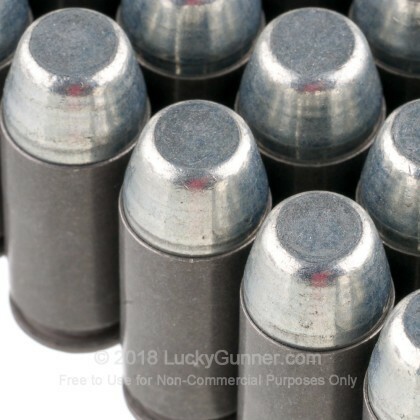 When I went to the range for qualification one of the instructors said to me.. "Are you shooting WEREWOLVES because you have 'silver bullets' (which no-one else had) I just chuckled, and thankful I had them"
I purchased this ammunition when it was on sale, no problems what so ever. I mostly use it for the range. I have had no misfires out of both of my pistols, FNS 40C and Taurus 24/7 G2. Just waiting for it to go on sale again to buy another bulk order. Very good price for quality ammo. Obviously this isn't the highest quality but it's a heck of a good deal for the price. Does the job for short money. Was a bit hesitant about using these rounds but the price was right. Probably shot about 250 rounds through a Glock 23 and a Walther PPQ M2. Not one problem to date! ordering easy , delivery ..stupid fast , great tula ammo cant beat it for the range for every day shooting from 9mm , 40 s&w , to 223 all shoots well think 3 ftf in 1000 rounds in the AR ! 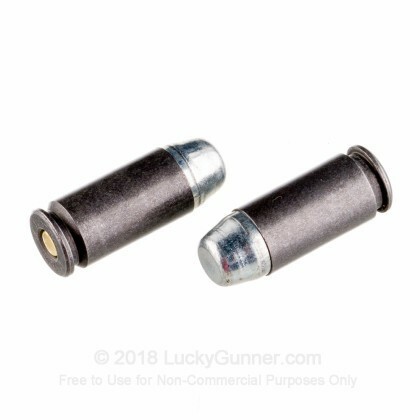 I have found Lucky gunner's staff to be very approachable and they answer all of my questions (no matter how crazy) not only is the ammo top notch, and the delivery super fast, they conduct their business with a professionalism that gives me the utmost confidence when I buy from them. I have not been disappointed one single time. Lucky gunner has prices that are very competitive even though the shipping is high because of live ammo delivery. I still save more money buying from these guys than when I am forced to buy inferior ammo from my local supplier. And the savings becomes more obvious when you buy in bulk. Very pleased. I was skeptical about Tulammo because of rumors but I ran 120 rounds through my three Glocks and my S&W Shield with not one problem. I will definitely buy more. This was my first order. Very pleased with the product as well as the service. The shipment came as described in a timely fashion. I will be a repeat customer. Great Ammo My Glock ate it up, LuckyGunner went above and beyond to do right Thanx!! This was my first order from LuckyGunner All I found was a great company to deal with! Ammo was ordered and shipped as promised, But FedX had another idea ammo never showed due to FedX and their handling of my ammo But LuckyGunner came to the rescue and did me right!! Thanx LuckyGunner I will do More business with a business like yours that went above and beyond to get my ammo to me. Great price, Great performance, and I went through the 500 rounds in no time with no problems!! So far, I've run 120 rounds through my S&W M&P 40 with no issues. Love this ammo and love the price! Fired over 200 rounds through my Stoger without fail, even the kids with soft grip/limp wrist had no problems. As a working class enthusiast with 4 kids I can only say, thanks for helping a Dad share some affordable Quality time with his kids. Not much else to say about these rounds. I've shot about 200 so far with my Glock 22 Gen 4 without any problems. I'm not the most high tech, scientific person either so I could really care less about weight of bullets, how straight they shoot etc etc... They are great for target practice and any other shooting in my opinion. They are extremely cheap and the shipping was VERY fast. LuckyGunner has my business from now on, that's for sure. THANKS! Great Ammo for the money!! Works great in my Hi-Point pistol. No misfires or jams, very accurate. Great ammo for the money. I will buy again!! Thank you Lucky Gunner. Plus very fast shipping!!! Great Value ammo. Equal performance to ammo at twice the price and my Glock 23 eats it like candy. This was my first order with LuckyGunner and I have to say I was impressed. I had spent half a day on Saturday searching the web and reading reviews on different providers of ammo. I settled on LuckyGunner because of their price, shipping policy and company background which was readily available online. I placed my order Saturday evening and my ammo arrived Wednesday morning. I had never used TulAmmo in my Glock prior this batch so by noon on Wednesday I was at the range burning through 100 rds with no FTF's, FTE's or misfires. After 100 rds the gun was no dirtier than with any other ammo I have shot. I will buy this ammo from LuckyGunner again. 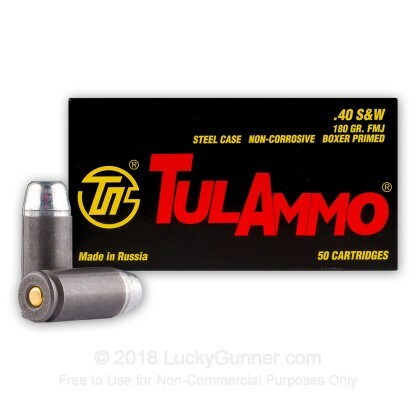 We also have this 40 S&W - 180 Grain FMJ - Tula - 50 Rounds ammo in stock in a smaller quantity.